This unique chess set features glass pieces with LEDs inside of them, providing a soft glow of light from each one. 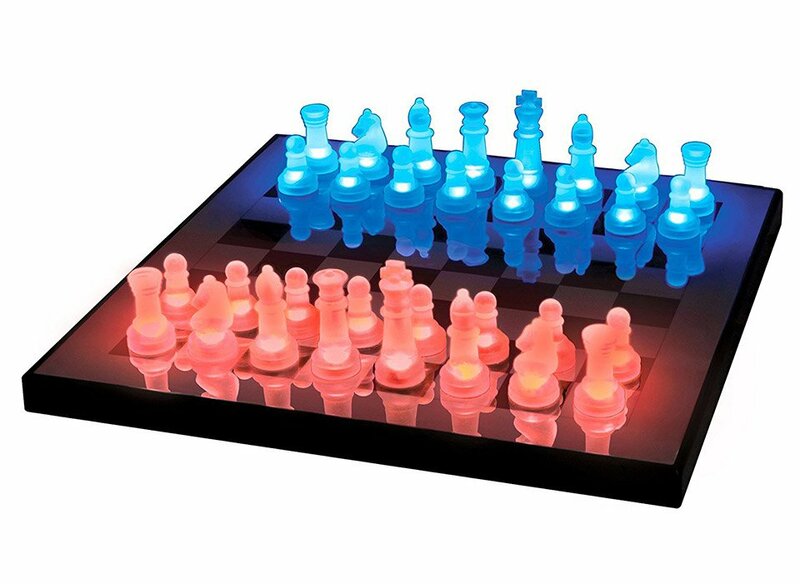 The lights use inductive power so they only glow when placed close to the board, and don’t require individual batteries. In blue/white or blue/red combos.